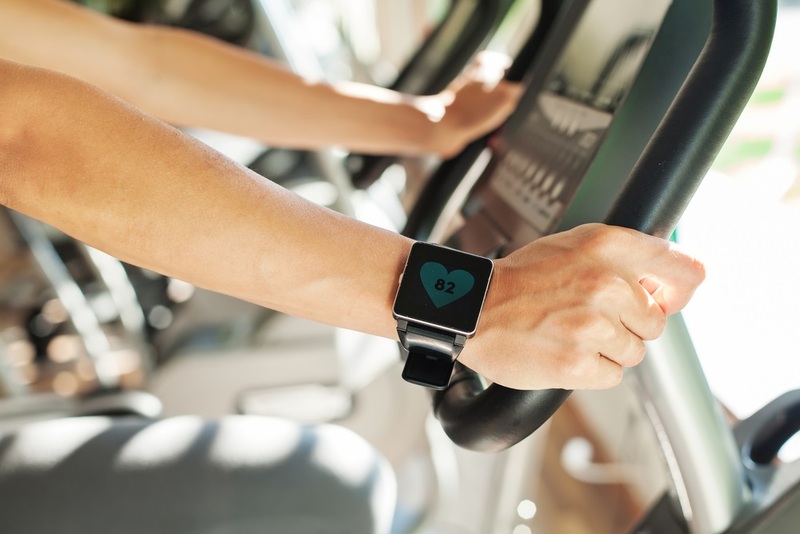 According to Club Industry, one-in-six consumers now use a wearable digital device, such as a smartwatch or fitness tracker. In the valuable 18 to 34 demographic, the trend is even more pronounced, with one-in-three. It’s starting to look like there’s a critical mass of people out there, for which you can enhance your gym business with the data that they’ll help you gather. You can add a new level of experience for your membership with gamification features. In return for the improved experience, you’ll get a stream of insights into the workout habits and successes of the members who participate. Wearables are here, and you’re going to need to make the most of them so you can stay competitive in the next few months and years. These days, you can’t run people-centered businesses like fitness and ignore the digital tools that are catching on quickly with consumers. Smartphones are ubiquitous, and now wearables are on the wrists of more gym members. So it looks like we’ve hit the point where either we go all in, or we end up completely out, which means left behind. Wearables are part of the digital technology tidal wave that has been building since the first smartphone apps hit the Internet. Along with Cloud technology and social media, it has become something that is unavoidable. Then there is the Internet of Things that connects to your gym equipment as well as your lighting door locks and HVAC system. Not so long ago, I was writing that fitness apps had stalled. Well, that moment seems to have passed, and now it looks like they were just hesitating as the technology matured and the market caught up. When technology is involved, things are changing pretty fast these days. Consumers are buying devices like the Fitbit Versa and The Apple Watch Series 4. Apps on your wearable device record where you are and how fast you’re moving, whether you are climbing, and your heart rate. So, the apps build a consistent picture of how often you work out and the intensity. If you can recruit new members who use wearables and convert your members into believers too, you can raise the engagement, improve the retention, increase the intensity, and tailor your client programming` to find the edge and lead your members beyond it. Gain access to data and analyze it to improve your business and target your membership with special offers. Fortunately, devices like Fitbit and the Apple Watch give users the ability to share their data. Studies are now coming out that show club members get better results and more engagement if they use wearables. As a fitness professional, you can take it a step further. It’s not the members who have the drive and motivation to stick with fitness unsupervised. It is the members who start out with good intentions, but maybe they lose hope or get distracted. The thing that is really amazing is that, as Club Solutions Magazine notes, club owners and trainers can do more of the engaging. You can walk through each client’s workouts and give them the prompts to step up when you see the leading indicators that show a rising probability that a member has lost their way a bit or may be about to quit. There will always be those members who buy a wearable and, just like memberships, they stop wearing them after a while. If you can use your skills to improve wearables retention, you take a big step toward customer retention. It gives you an early indicator of abandonment so you can reach out and lead them to re-engage. Actively promoting wearables use can help you in other ways too. If you have a store in your club or a retail merchandise section, you can add wearables along with the protein powder, lifting gloves, and other convenience items. Whether members bring their own devices or purchase a wearable from you, the chance to have a new connection with your members is too good to pass up. You can use the data you collect to run contests and offer prizes. Once you have the data, it is there to exploit, you can feed the information you collect back into your fitness programming and pass it on to your trainers. Many of the big box clubs and franchises have smartphone apps for their members. There are numerous choices in apps you can adapt for your gym. Many of these are for smartphones. However, the options for watch and wearables apps are growing by the day. The world of fitness technology and wearables is changing the gym business by the day. Dyer, Bobby. Building a Wearable Tech Ecosystem. December 1, 2017. https://clubsolutionsmagazine.com/2017/12/building-wearable-tech-ecosystem/ (accessed December 6, 2018). Fagan, Lawrence. Will Wearables Find A New Purpose In The Fitness Club? October 2, 2017. https://blog.gyminsight.com/4651-will-wearables-find-a-new-purpose-in-the-fitness-club/ (accessed December 6, 2018). Heitner, Darren. 6 Reasons Why Wearables Are The Future of Fitness. March 30, 2016. https://www.inc.com/darren-heitner/6-reasons-why-wearables-are-the-future-of-fitness.html (accessed December 6, 2018). Protzman Howlett, Sarah. The Spart Gym Is Here. May 29, 2018. https://www.clubindustry.com/trends/smart-gym-here (accessed December 6, 2018). Vahzarov, Stefan. We Logged Our Workouts With These Top-Rated Fitness Trackers. November 21, 2018. https://www.bestproducts.com/fitness/electronics-gadgets/g675/wearable-fitness-trackers/ (accessed December 6, 2018).